« ‘Wall Street’ risk managment and judgment compromised by blindness, madness and greed. Issue #12 of the Punisher: War Journal ties in with Word War Hulk mini series, which was surprisingly a good comic, very enjoyable. 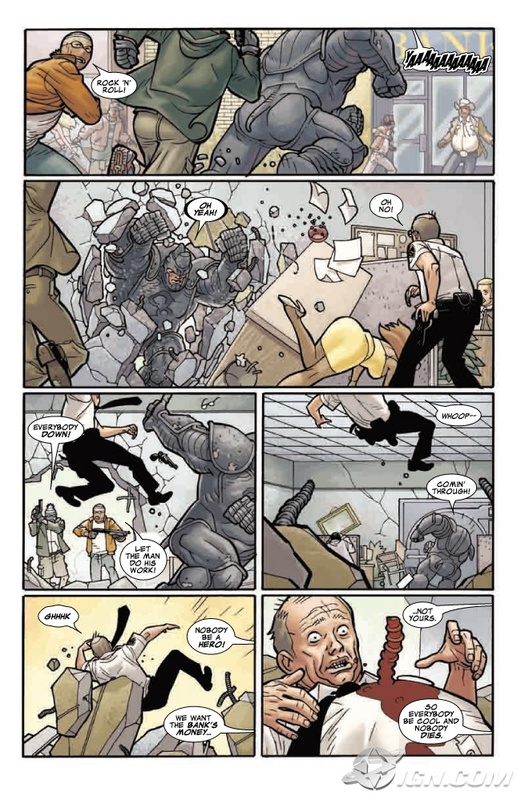 With both the Punisher and his geeky gunsmith Stuart Clarke arriving back to New York, only to find the large portions of the city pretty much destroyed (courtesy of the Hulk and a bunch of horrendous looking aliens), with most of New York evacuated, only a few families remain – unable to get out. So the story takes place with the Punisher helping a little girl and her family escape the war zone. Meanwhile a four armed bug looking alien with his crew aim to stop the Punisher, kill the family and eat the little girl. The action sequences are as usual handled extremely well by Olivetti, Matt Fraction keeps his momentum with the story, with the dead pan humour that he has written into the Punisher War Journal run. So there is a tongue and cheek feel to the story; even though the subject matter at times is serious. So far Fraction has been consistent with The Punisher: War Journal run, although I would like to see some risks taken with the direction of the stories. Of course Fraction doesn’t need to give it an Garth Ennis style (gritty) as such, and Ennis has his own Punisher run going. But I do think an extension of the stories are warranted, Fraction can now really build his style into something unique with the Punisher. Otherwise it will come across too light and lose some of it’s appeal. Which would be a shame, as the Punisher is a great character that can still be worked upon and given some new direction. Issue13 has a new artist by the name Scott Wegener, he does a great job, definitely not in Olivetti’s style, but nevertheless handles the job well. The story has Fraction’s nice mix of humour and adult themes (adult themes? Jeez sounds like TV ratings…), and return of the Rhino and Kraven the Hunter with a cameo appearance of Spiderman. Again, I hope Fraction doesn’t get too lost in dragging out old B and C grade villains and heroes. 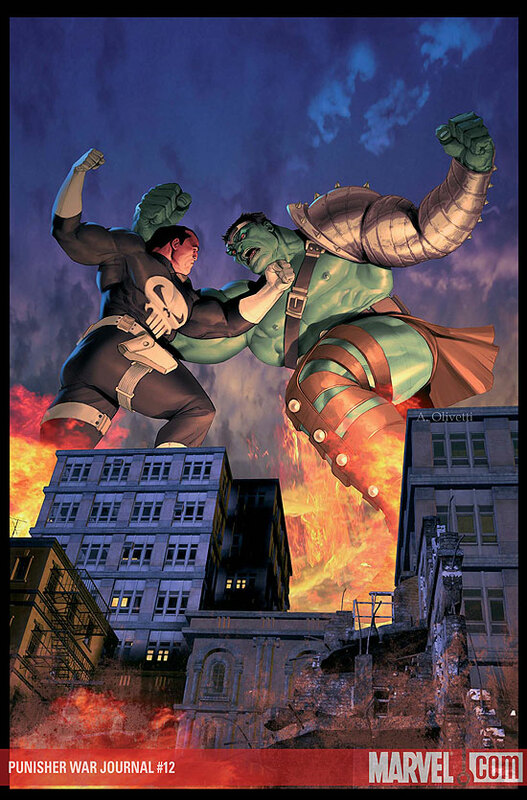 I would still like to see some deeper stories and themes played out in the Punisher: War Journal. Anyway it’s a shame to see Olivetti go, but Scott Wegener is a fresh face and he will suit the Punisher: War Journal run well. Check it out #12 #13 of the Punisher: War Journal, good stuff! This entry was posted on November 18, 2007 at 11:48 pm	and is filed under Books, Comic Reviews. You can follow any responses to this entry through the RSS 2.0 feed. You can leave a response, or trackback from your own site. The Punisher looks like he’s on steroids…I think he needs to be investigated.